Donaco International Limited (ASX:DNA) is pleased to announce that David Green has been appointed as an independent non-executive Director of the Company. Donaco International Limited (ASX:DNA) announces that the employment of Mr Joey Lim as an executive of the Company has now been terminated with immediate effect. Donaco International Limited (ASX:DNA) notes that Vincent Pirina and Mitchell Mansfield have been appointed as joint and several receivers of approximately 224 million shares in the Company. Donaco International Limited (ASX:DNA) has announced its results for the 6 months ended 31 December 2018 (H1 FY19). Donaco In ternational Limited (ASX:DNA) provides the following trading update for the three month period ending December 2018. Donaco International Ltd (ASX:DNA) announces that its Managing Director and Chief Executive Officer, Mr Joey Lim, has requested a leave of absence for a period expected to be approximately three months, to deal with health and personal matters. In accordance with Listing Rule 3.13.3, Donaco International Limited (ASX:DNA) lodges the attached Chairman&apos;s address and Managing Director&apos;s address, to be delivered at today&apos;s Annual General Meeting of shareholders. Donaco International Ltd (ASX:DNA) directors present their report, together with the financial statements, on the consolidated entity consisting of Donaco International Limited and the entities it controlled at the end of, or during, the year ended 30 June 2018. Donaco International Limited (ASX:DNA) has announced its results for the financial year ended 30 June 2018 (FY 18). Donaco International Limited (ASX:DNA) announces that it will release its statutory results and preliminary accounts for the financial year ending 30 June 2018 before the market opens on Wednesday, 30 August 2018. Donaco International Limited (ASX:DNA) provides the following update on its legal dispute with the vendors of the Star Vegas casino business in Cambodia. Donaco International Limited (ASX:DNA) provides the following updates on its legal dispute with the vendors of the Star Vegas casino business in Cambodia. Donaco International Ltd (ASX:DNA) lodges the attached FY17 Full Year Audited Accounts and Annual Report to Shareholders. Donaco International Limited (ASX:DNA) (FRA:UGS) is pleased to announce the signing of additional deals, to implement the Company&apos;s strategy of increasing visitation to the Star Vegas property from new international customers. 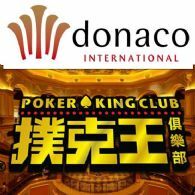 Donaco International Limited (ASX:DNA) announces that it has signed a three year deal with Kings Consulting Limited, owner of Poker King Club, to stage international poker tournaments at the Star Vegas. Donaco International Ltd (ASX:DNA) is pleased to provide the following trading update for the March 2017 quarter and FY17 year to date. Donaco International Ltd (ASX:DNA) is pleased to provide the Company&apos;s latest Investor Presentation. Donaco International Limited (ASX:DNA) has announced its results for the 6 months ended 31 December 2016 (H1 17). Donaco International Ltd (ASX:DNA) announces that it will release its statutory results and preliminary accounts for the financial half-year ending 31 December 2016 on Thursday, 23 February 2017. Donaco International Ltd (ASX:DNA) announces that Crowe Horwath Sydney has been appointed as the Company&apos;s auditor. Donaco International Limited (ASX:DNA) is pleased to provide the company&apos;s Chairman&apos;s address and Managing Director&apos;s address, to be delivered at today&apos;s Annual General Meeting of shareholders. Donaco International Ltd (ASX:DNA) directors present their report, together with the financial statements, on the consolidated entity consisting of Donaco International and the entities it controlled at the end of, or during, the year ended 30 June 2016. Donaco International Limited (ASX:DNA) ("Donaco" or "the Company") has lodged its financial year 2016 audited accounts, achieving an audited profit of $78.7m, compared to $77.2m which was detailed in the preliminary report (Appendix 4E) released on 30 August 2016. The Board of Donaco International Limited (ASX:DNA) (the Company) has resolved to introduce a new Long Term Incentive (LTI) scheme for its senior executives, to replace the previous options scheme that expired at the end of FY16. Donaco International Ltd (ASX:DNA) are pleased to provide the Company&apos;s latest Investor Presentation regarding the FY16 results. Donaco International Limited (ASX:DNA) is pleased to announce its results for the 12 months ended 30 June 2016 (FY16), a period which saw the group transform and significantly grow in scale with the addition of the Star Vegas. Donaco International Ltd (ASX:DNA) announces that it will release its statutory results and preliminary accounts for the financial year ending 30 June 2016 after the market closes on Tuesday, 30 August 2016. Donaco International Limited (ASX:DNA) has refinanced its USD20 million working capital facility that was announced to the ASX on 23 June 2015 and 1 July 2015. The refinancing will save the Company approximately USD3.8 million in financing costs over the next two financial years (FY17 and FY18), compared to the cost of repaying the facility in accordance with its original terms. Donaco International Limited (ASX:DNA) is pleased to announce that its Managing Director and Chief Executive Officer, Mr Joey Lim, was a keynote speaker at a major conference on investment and tourism development in the Lao Cai area of Vietnam, held on the weekend of 7-8 May 2016. Lao Cai is the location of Donaco&apos;s flagship property, the Aristo International Hotel. Donaco International Limited ("Donaco" or "the Company") (ASX:DNA) is pleased to announce that it has appointed Att Asavanund as Deputy Chief Executive Officer, effective 1 May 2016. Donaco International Ltd (ASX:DNA) announce the latest Investor Presentation for the December 2015 Half Year Results. 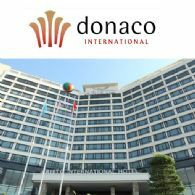 During the financial half-year the principal activities of the consolidated entity, Donaco International Ltd (ASX:DNA), consisted of the operation of leisure and hospitality businesses across the Asia Pacific region. Donaco International Ltd (ASX:DNA) announces that it will release its statutory results and preliminary accounts for the half year ending on 31 December 2015 after the market closes on Wednesday, 24 February 2016. 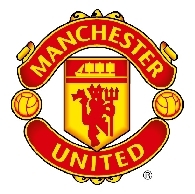 Donaco International Ltd (ASX:DNA) is pleased to announce the formal launch of its partnership with Manchester United, at a series of events to be held in Vietnam on 14-15 December 2015. In accordance with Listing Rule 3.13.3, Donaco International Limited (ASX:DNA) lodges the Chairman&apos;s address and Managing Director&apos;s presentation, to be delivered at today&apos;s Annual General Meeting of shareholders. 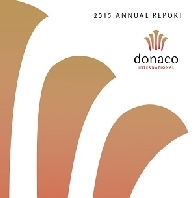 Donaco International Ltd (ASX:DNA) are pleased to provide the Company&apos;s Annual Report 2015 to shareholders. Donaco International Ltd (ASX:DNA) lodges the attached presentation, which will form the basis of a series of investor presentations in Asia this week. The presentation includes a trading update for the September quarter. 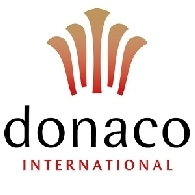 In accordance with Listing Rule 4.5.1, Donaco International Ltd (ASX:DNA) (the Company) lodges the attached Full Year Statutory Accounts for the year ending 30 June 2015. Donaco International Limited (ASX:DNA) is pleased to confirm that the Heng Sheng VIP club at the Star Vegas casino in Poipet, Cambodia was successfully launched yesterday, Sunday 20 September 2015. Donaco International Ltd (ASX:DNA) ("Donaco" or "the Company") today released its statutory results and preliminary accounts for the 12 month period ending on 30 June 2015. Donaco International Ltd (ASX:DNA) confirms that it will lodge its statutory results and preliminary accounts for FY15 after the market closes tomorrow, 27 August 2015. 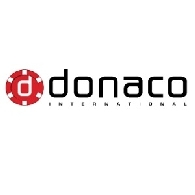 Donaco International Ltd (ASX:DNA) is pleased to announce that it has signed an agreement with Heng Sheng Group, one of Macau&apos;s leading VIP gaming promoters, to bring its VIP players to the Star Vegas Resort & Club. Donaco International Ltd (ASX:DNA) Agreement with Manchester United PLC (NYSE:MANU). Donaco International Ltd (ASX:DNA) is proud to announce that it has signed an exclusive sponsorship agreement with Manchester United Football Club (NYSE:MANU). Donaco International Limited (ASX:DNA) is pleased to announce that it has adopted a new corporate logo and branding. The new logo is modelled on a fountain design. The fountain symbolizes entertainment, celebration, and constant motion. 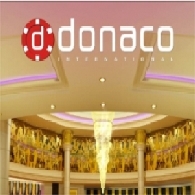 Donaco International Ltd (ASX:DNA) is pleased to provide a trading update for the business of the Star Vegas Resort & Club in Poipet, Cambodia, for the period up to 30 June 2015. 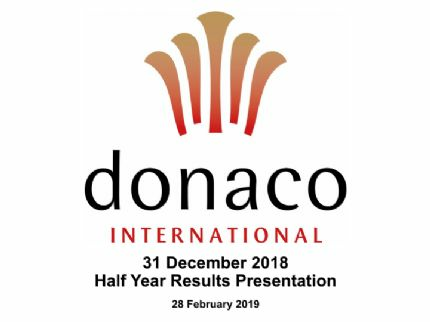 Donaco International Ltd (ASX:DNA) will release its statutory results for the full financial year to June 2015 on 27 August 2015, after the market closes on that day. Donaco International Limited (ASX:DNA) is pleased to announce that Mr Chong Kwong Yang has been appointed as the Company&apos;s Chief Financial Officer, with effect from 1 July 2015. 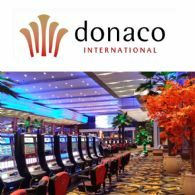 Donaco International Limited (ASX:DNA) is pleased to confirm that its acquisition of the business of the Star Vegas Resort & Club in Poipet, Cambodia (the Transaction) was successfully completed today, 1 July 2015. 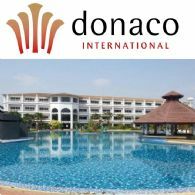 Donaco International Limited (ASX:DNA) is pleased to confirm that its acquisition of the business of the Star Vegas Resort & Club in Poipet, Cambodia (the Transaction) is on track for completion on 1 July 2015. Donaco International Limited (ASX:DNA) lodges the attached updated investor presentation, which includes a trading update for the Aristo International Hotel in Vietnam. Mr Reichel is a company director and executive in the gaming, media, and technology sectors, with more than twenty years&apos; experience in major Australian listed public companies and law firms. 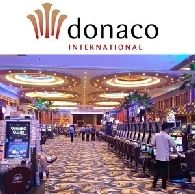 Donaco International Limited (ASX:DNA) confirms that the proposed acquisition of Star Vegas Resort and Club in Cambodia ("the Transaction") continues to move ahead, with the conditions precedent to the Transaction being resolved in an orderly manner. Donaco International Limited (ASX:DNA) confirms that shares issued under the retail component of its fully underwritten 10 for 21 non-renounceable entitlement offer ("Entitlement Offer") have been issued today, 2 March 2015. Donaco International Limited (ASX:DNA) (the Company) today released its financial report and accounts for the six months ending on 31 December 2014. Donaco International Limited (ASX:DNA) announced on 30 January 2015 a fully underwritten 10 for 21 non-renounceable entitlement offer ("Entitlement Offer") to raise approximately A$132 million. The institutional component of the Entitlement Offer was completed on Tuesday, 10 February 2015 and raised approximately $92.4 million. The suspension of trading in the securities of Donaco International Limited (ASX:DNA) (Company) will be lifted immediately, following completion of the institutional component of an accelerated nonrenounceable entitlement offer and receipt of announcements pertaining to the acquisition of Star Vegas Resort & Club, a gaming and entertainment business in Cambodia. Donaco International Limited (ASX:DNA) announces the successful completion of the institutional entitlement offer on 30 January 2015. A total of $57.9 million was raised, representing approximately 96.4 million new shares in the Company. Donaco International Limited (ASX:DNA) is pleased to announce that it has executed a binding acquisition agreement with Star Vegas in Poipet, Cambodia. The growth and success of the Company&apos;s business was reflected by the increase in the Company&apos;s share price and market capitalisation during the year. The growth of the business was further recognised in September 2014, when the Company was admitted to the ASX300 index. Donaco International Limited (ASX:DNA) is pleased to announce that it has signed an exclusive term sheet, and is currently conducting due diligence, for a proposed material acquisition of a significant gaming and hospitality business in Cambodia. The most important development was the opening of the Aristo International Hotel in May 2014. Through this brand-new resort complex in northern Vietnam, Donaco now has a greatly expanded leisure and entertainment offering. This magnificent new property will underpin growth in the year ahead. As part of the spin-off, Donaco sought a ruling from the Australian Taxation Office (ATO) on the taxation implications for Australian resident shareholders who hold their shares on capital account. Donaco International Limited (ASX:DNA) refers to the recent spin-off of iSentric Limited (iSentric), which now trades on the ASX under the code ICU. The ICU shares previously had the code OMI. 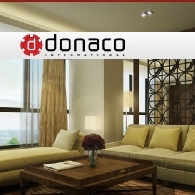 The financial statements cover Donaco International Limited as a consolidated entity consisting of Donaco International Limited and its subsidiaries. The financial statements are presented in Australian dollars, which is Donaco International Limited&apos;s functional and presentation currency. Donaco International Limited (ASX:DNA) announces that the ASX has advised that iSentric Limited (iSentric) has met the conditions for re-admission to quotation on the ASX. Donaco International Limited (ASX:DNA) (Donaco) announces that the in-specie distribution of shares in OMI Holdings Limited (OMI) has now been completed. OMI&apos;s share registry, Link Market Services Limited, is currently in the process of dispatching holding statements to Donaco shareholders. Donaco International Limited (ASX:DNA) announces that the conditions precedent to the distribution approved by shareholders on 25 August 2014 have now been satisfied. Completion of the sale agreement with OMI Holdings Limited (OMI) has now occurred, with Donaco selling 100% of its interest in iSentric Sdn Bhd to OMI. 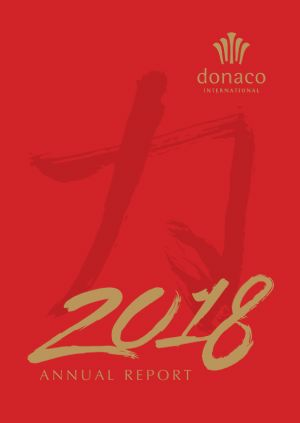 Donaco International Limited (ASX:DNA) (the Company) yesterday released its financial report and accounts for the year ending 30 June 2014. 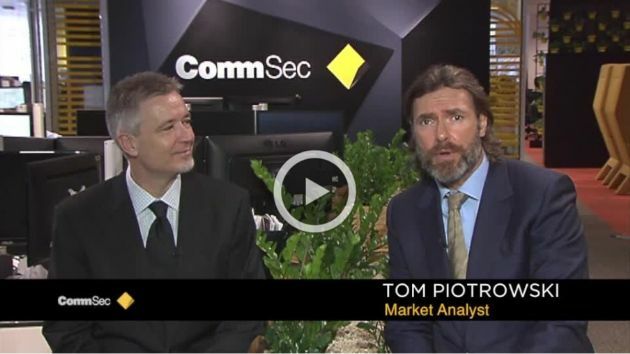 This is the Company&apos;s first full 12 month results announcement as an ASX listed entity. Donaco International Limited (ASX:DNA) Chairman&apos;s Speech will be delivered at today&apos;s Extraordinary General Meeting of shareholders in Donaco International Limited (the Company). Donaco International Limited (ASX:DNA) (Donaco) refers to the Notice of Meeting for the Extraordinary General Meeting to be held on 25 August 2014, seeking shareholder approvals for the proposed spin-off of iSentric Sdn Bhd (iSentric). The Notice of Meeting mailed to shareholders included a prospectus dated 16 July 2014, issued by OMI Holdings Limited (ASX:OMI). Donaco International Limited (ASX:DNA) Presentation to the Gaming, Racing and Wagering Australia 2014 Conference in Sydney today. Donaco International Limited (ASX:DNA) (Donaco) refers to the ASX release on 22 July, in relation to the spin-off of iSentric Sdn Bhd (iSentric). Donaco International Limited (ASX:DNA) (the Company) announces that it intends to implement an on-market buy-back for a maximum of 37.2 million shares, representing a maximum of 8% of its ordinary shares. Donaco International Limited (ASX:DNA) (Donaco) lodges the attached Notice of Meeting which will be dispatched to shareholders tomorrow, for an Extraordinary General Meeting (EGM) to be held on 25 August 2014, in Sydney. 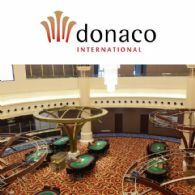 Donaco International Ltd (ASX:DNA) announces that the Aristo International Hotel, its brand new five star hotel and casino in Lao Cai, Vietnam, has traded in accordance with expectations since its soft opening on 18 May 2014. Donaco International Limited (ASX:DNA) lodges the attached presentation to be given today by the Managing Director, Mr Joey Lim, to the Asia G2E (Global Gaming Expo) conference in Macau. 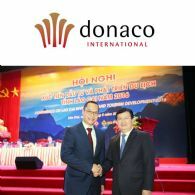 Donaco International Limited (ASX:DNA) is proud to confirm the successful soft opening yesterday, Sunday 18 May 2014, of its brand new five star hotel and casino in Lao Cai, Vietnam. In response to queries from a number of investors, Donaco International Limited (ASX:DNA) (the Company) reports there is no sign that recent tensions between China and Vietnam have affected the business of the Lao Cai International Hotel. Donaco International Limited (ASX:DNA) announces that it has now signed a binding Share Sale Agreement to complete the spin-off of its mobile technology business, iSentric Sdn Bhd (iSentric). In accordance with Listing Rule 3.13.2 and section 251AA of the Corporations Act 2001, Donaco International Limited (ASX:DNA) advises details of the outcome of each resolution, and the proxies received in respect of each resolution, at today&apos;s Extraordinary General Meeting. The Chairman&apos;s speech will be delivered at today&apos;s Extraordinary General Meeting of shareholders in Donaco International Limited (ASX:DNA). 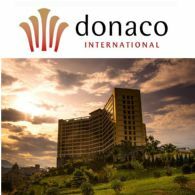 Donaco International Limited (ASX:DNA) (the Company) announces that it has received approval from the relevant Government bodies in Vietnam for its amended investment certificate, allowing the relocation of its hotel and casino business to its new site in Lao Cai, Vietnam. Donaco International Limited (ASX:DNA) (the Company) announces that it has received binding commitments from institutional and sophisticated investors in Australia and overseas for a private placement of 56.39 million shares at A$1.33 per share, to raise A$75 million.